Lime is a basic ingredient in all cement and concrete. 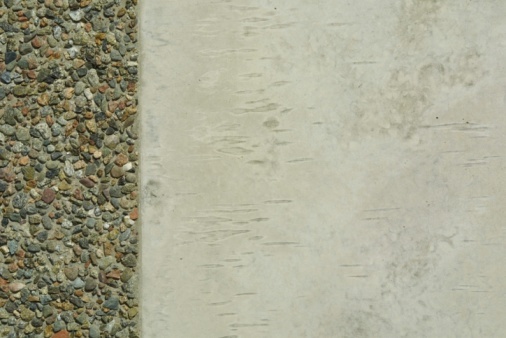 Lime stains occur on concrete floors when the concrete is repeatedly exposed to water. The lime stains form when moisture passes through the floor and evaporates. To make matters worse, when this happens the concrete actually becomes even more porous. 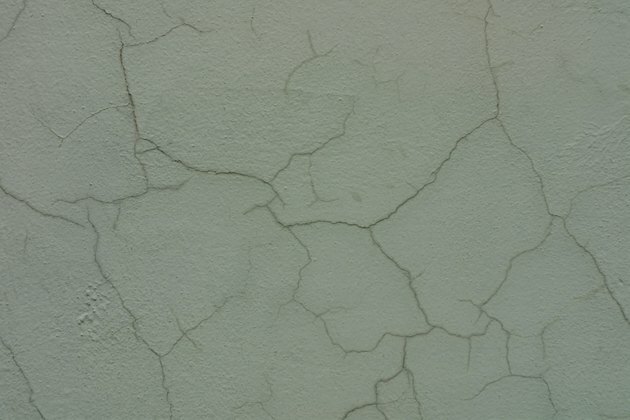 The only way to remove a heavy buildup of line in cement is to dissolve it with acid. Fill a bucket with water and add the recommended amount of fluid from a penetrating concrete cleaner that contains hydrochloric acid. Look at the label to see how much the product should be diluted with water. Apply the product to the concrete floor with a brush or spray. For really heavy lime deposits, pour the product right on the floor. Use a stiff broom to work the solution into the cement. Allow the floor to soak for at least five minutes. Rinse off the concrete floor with clear water. Repeat the process if the lime stains (or deposits) remain.